B.C.’s Christy Clark was right to walk away from a national energy strategy promoted by Alberta’s Alison Redford at a provincial premiers’ meeting in Halifax in late July. She just did it for the wrong reasons. Clark said she won’t sign on unless B.C. is guaranteed a bigger share of benefits from the proposed Enbridge Northern Gateway pipeline project. But all the money in China, Alberta, and Enbridge’s bank accounts won’t be enough to undo the damage from a major leak near one of the thousand waterways the dual pipeline would cross, or from a supertanker spill along the B.C. coast. 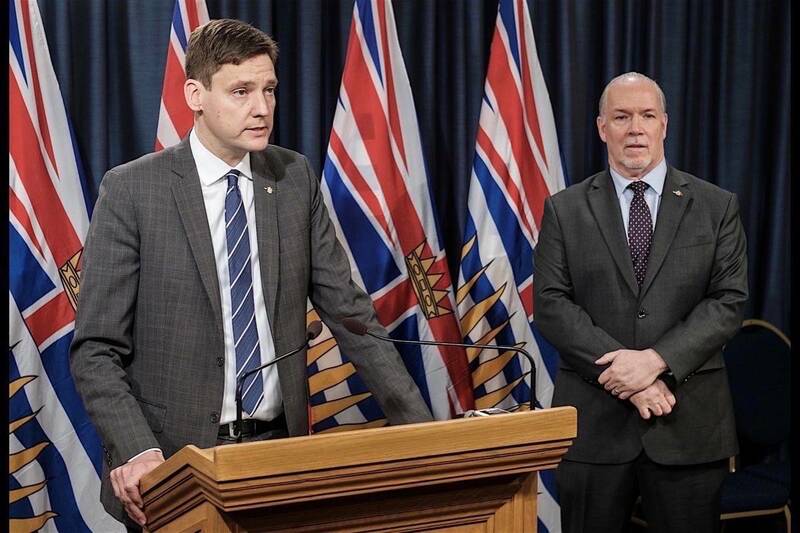 B.C.’s premier should have renounced the proposal because it’s focused more on tar sands, pipelines, and markets than on getting Canada’s greenhouse gas emissions under control by shifting from fossil fuel dependency to a more efficient system based on conservation and renewable energy. Canadians want and need an energy strategy. We need it to combat the ever-increasing damage from global warming, to make better use of our resources, to ensure energy security for all Canadians, to respect the rights of aboriginal people, and to create long-term jobs and economic prosperity. That calls for a better plan than quickly digging up all our bitumen and coal and selling it to China and fracking the hell out of every piece of ground that might have some gas in it. Oil, gas, and coal are valuable and finite resources. All represent energy from the sun that has been stored through photosynthesis and concentrated over millions of years. We waste a lot of it, especially when we burn it in private automobiles that use only about 15 per cent of the energy to move the car. Because a car typically weighs 10 to 20 times more than its passengers, we’re only getting about one per cent efficiency from the fuel. Instead of wasting 99 per cent of this complex and useful non-renewable chemical mix, we could use more of it to make everything from bicycle tires and computer keyboards to heart valves and artificial limbs. And surely we can even find more efficient and less polluting ways to use it for fuel. A rational energy strategy – one that benefits Canadians more than multinational corporations and the repressive regime in China – would recognize the value of our limited resources not just for fuel and products but as a way to generate steady revenue to help us shift to renewable energy. What would such a strategy look like? It’s already too late to stop global warming, but we can contribute to making it less severe. That means shifting away from fossil fuels as quickly as possible. Canada would have to reduce its emissions by 80 per cent from 1990 levels by 2050 to do its part to avoid dangerous warming over 2° C.
Instead of doubling oil sands production, we need to reduce the energy we get from fossil fuels by more than 70 per cent. The target is possible if we transform our energy system over the next 40 years, according to the Trottier Energy Futures Project, a joint effort between the David Suzuki Foundation and the Canadian Academy of Engineering. Renewable energy use would have to double. Energy production from non-hydro renewables such as wind, solar, and biomass would have to increase 150 times from today’s levels. We would also have to make our country 50 per cent more energy efficient. This could be accomplished by building only net-zero buildings by 2050 and retrofitting existing buildings to the highest efficiency standards. It would take vision and commitment, including unlocking financing to enable energy efficient retrofits and renewable energy development, training workers to retrofit homes and install local renewable generation, building a flexible electricity grid, and converting refineries to biofuel production from biomass byproducts. Although the 2007 plan Redford and her fellow leaders hope to build on mentions renewable energy and climate change, it doesn’t offer the bold vision needed to realize the many benefits – and the necessity – of reducing our reliance on fossil fuels. We need a broad and comprehensive strategy. Had Premier Clark embraced and articulated such a vision, she would have been seen as a real leader.